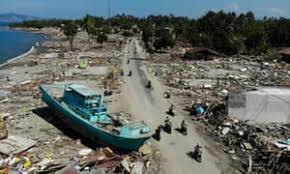 In September 2018 an earthquake shook the Sulawesi region followed by a 6m high Tsunami Wave which hit Palu. The combined effects of the two disasters led to the immediate deaths of an estimated 4,340 people with tens of thousand at risk due to contaminated water and homeless. Initially our partner Disaster Aid Malaysia deployed emergency shelter packs assisted by the Malaysia Government who provided air transport. These are now providing safe drinking water to thousands of people. If you want to support our Life saving Work after Disasters you can make a DONATION NOW.